Usheera industries (lavancha handicraft unit) is laid the foundation in the year 1992 in bhatkal, Uttara Karnataka and continuing as a pioneer in the field of vetiver handicrafts . We are in our 21st year of journey and over the years we have developed a large and very loyal following of customers. We always aimed to manufacture natural herbal products of pure vetiver with the best quality and handicrafts with the dynamic designs. Our unit is registered with the government of India. We are now manufacturing more than 500 products from vetiver (ramacham) and marketing in India and abroad. Our products are 100% safe and effective. 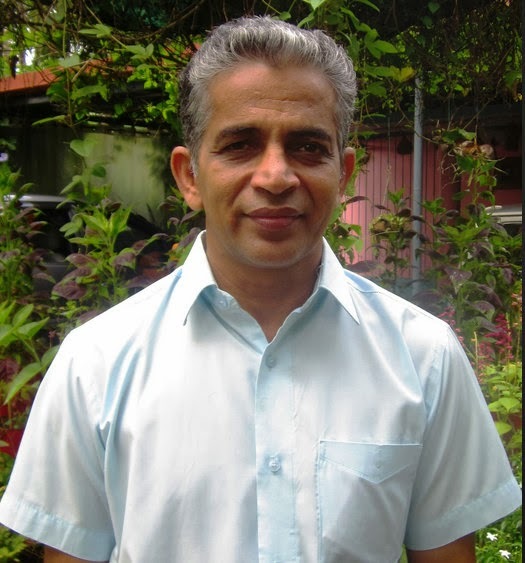 At the helm of Usheera industries is Mr M.D Mathew, the manpower behind on-going production of vetiver herbal and handicrafts products in India since 21 years by processing, manufacturing and marketing of vetiver and allied products. His family always had been a great encouragement and support in the journey towards success in the field of vetiver handmade crafts and products. By inventing, experimenting, growing and taking risks we have created the new world of ramacham and vetiver products that always been a pleasure and excitement for customers to realize the secrets and truths of nature. We have stepped in to this field with cultivation of vetiver plant and oil extraction and directed ourselves to new experiments and innovations in handmade crafts of high quality vetiver roots. In 1992, we have started lavancha handicraft unit in small scale in Bhengre, Bhatkal by concentrating more to the poor women of village to improve their economic independence. We then progressed with the handicrafts exhibition of vetiver handicrafts in various places all over the India like Pune, Mumbai, and Kerala etc. and over a period of time emerged into an exclusive wholesale manufacturer. From the day of foundation it took years of hard work for the dynamic development in this field. It’s our pride to introduce the natural vetiver products to the market. We made vetiver caps at first and we have got very good response from customers. Then we elaborated ourselves by manufacturing new vetiver products and handmade crafts like curtains, foot wears, hand fans, mats etc. We have recently introduced new healthy vetiver herbal drinks and perfumes. Our wide ranges of natural products are available in market. We at Usheera industries identify the most talented artifacts and manufacture them in bulk quantities. The motive of our industries is to publicize ‘khadi’ and its activities to keep the inspiration source Gandhi's reflections always alive. “Usheera industries is always active with the positive attitude to avail indigenous products in local market and to let people live with proud by self employment." "We always strive to improve our services through new ideas and innovative actions....."
Our team of more than 125 employees with their dedicated work played the key role in manufacturing quality products and creative handmade crafts of vetiver /ramacham. Our growth is the result of quality service, reliability of products supplied and efficient management system. Our vision is to improve ourselves and to be the top performing and most admired ramacham/vetiver manufacturers in Asia. Our aim is to introduce unique products of vetiver in the global market. Usheera industries always been possessed a deep love and respect for nature and its gifts. We are always sensitive to the ways in which poor people are affected by their socioeconomic conditions. Our artisans are completely committed and dedicated in manufacturing unique and best designed vetiver handicrafts products. We always tried to give opportunities for uneducated and handicapped people from rural areas and we have given training in manufacturing and designing of vetiver products for more than 2000 people from different places.